Depending the contents thus unearthed, reactions vary. On finding out that the object of our attention has apparently attended some event somewhere, an event which has hitherto been missing from media consciousness. ‘Oh no another event. Please be dressed normally. Please don’t have tried any sartorial experiments which even you can’t carry off. Please don’t be an unsmiling grouch . Please … Oh. Ooooh. Not bad. Not bad at all Mr. Roshan. You are well aware of us either through the main site, our FB page or our Twitter feed and are wondering exactly at what stage our expansion plans across social media will cease. Your curiosity about the man is insatiable and you’re hitting every single target that pops up on your search list. You have absolutely no idea how you got here and why. To inform both the jaded and uninitiated this blog will not be JUST an extension of our more popular and proper presence. 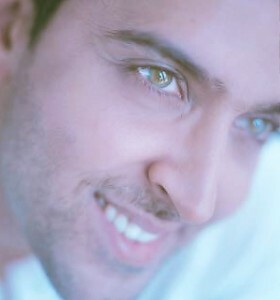 We won’t be a Hrithik Roshan news blog, or a review and rant blog – atleast not entirely and not right now. We will however, use this blog to let our hair down. We have a semi-professional reputation (or as professional a reputation as you can have on interactive social media anyway) across our other platforms and this blog is an outlet for all the things we DO NOT say. Note: Condemn us not as no true fans. None of us subscribe to the view that being a fan involves nothing but unwavering and unswerving devotion to the idea of a man and a firm blind eye to every facet that is different from the illusion of perfection. We might just be getting too big for our boots. Or we might be making a canny investment. Either way our social presence just upgraded another level.